Science must start guiding the management policy of Americas wild horses and burros on public land. It’s time for real science for real solutions. We need scientific studies on population, migration, holistic land management and more before the government continues to roundup or tamper with America’s equine herds using permanent/temporary sterilization or kill them. We support wild horse and burro recovery on public land. 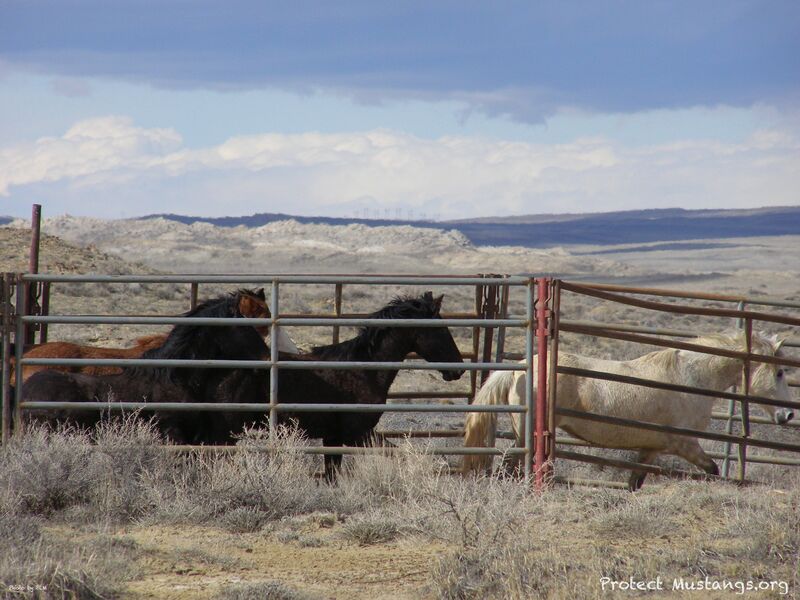 Right now the feds are managing our indigenous wild horses and burros to extinction. They want to aggressively sterilize the herds. There is “no evidence” of overpopulation according to the National Academy of Sciences 2013 report. Science must start guiding the management policy of America’s wild horses and burros on public land. We need scientific studies on population, migration, holistic land management and more before the government continues to roundup or tamper with America’s equine herds using permanent/temporary sterilization or kill them. We support wild horse and burro recovery on public land and request your help. This entry was posted in Uncategorized and tagged American, BLM, Mustang, petition, roundup, wild horses, Wyoming by Protect Mustangs. Bookmark the permalink.